Current and past projects are listed here. If you would like more information about a particular project, please contact us. Development, delivery and evaluation of “Is there a better way? - positive behaviour support in response to challenging behaviour” in collaboration with Developmental Disability WA and Youniverse, for DSC, 2013. Development and delivery of training on the External Merits Review Support Component for DisabilityCare Australia, for FaHCSIA, 2013. Development of training packages for use by certification bodies, about the auditing of employment and advocacy programs for people with disability, for FaHCSIA, 2012-2013. 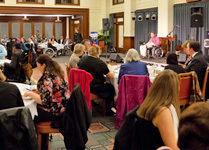 The joint facilitation of the national Leaders for Tomorrow program, a leadership program for people with disability, together with Hunter TAFE NSW, 2011-2014. The joint development and delivery of a public speaking course for people with intellectual disability called “Telling My Story”, together with National Disability Services, 2011. The development and delivery of training on Quality Management Framework for Evaluators and Team Leaders for the Disability Services Commission (WA), 2010-2011. Development and delivery of training for audit personnel involved in the auditing of disability services in Victoria for Department of Human Services (DHS), 2009-2011. Since 2009, two E-QUAL consultants (Leanda Syme and Jackie Softly) are members of a small pool of facilitators for the Partners in Change program, a values based skill development program for support workers, auspiced by Perth Home Care Services. Provision of workshops for Activ Foundation staff and consumers on Protection of Human Rights and Freedom from Abuse and Neglect, 2009. Development and delivery of training for the National Disability Advocacy Program third party certification scheme, 2008-2013. Development and delivery of training on implementing the Alternatives to Employment outcomes framework for Getabout and Valued Independent People, 2008-2009. Together with Dolly Bhargava, development of accessible information training and augmentative resources to enable people with complex communication needs to participate in consultations and complaints processes, for Rocky Bay, 2008. The joint development and delivery of a leadership program “Developing Active Citizens” for people with a disability together with People with a Disability WA - 2006 - 2008. The development, delivery, support and evaluation of a skill development and social club program “Aim High” for young members of the Down Syndrome Association WA, 2006 -2008. Development of Disability Awareness Training packages for use by internal training staff, for City of Swan (2006/2007), Town of Bassendean (2007), Goldfields Individual and Family Support Association (GIFSA, 2008) and City of Perth (2011). Development and delivery of training for staff on how to use communication tools for people with complex communication needs to understand and participate in quality assurance processes, for Disability Services Queensland (DSQ), 2006-2007. The development and delivery of a 10 part training package discussing rights for people with a disability, for Advocacy South West in 2005. Development and delivery of internal auditor training for various disability employment providers for Department of Families, Housing, Community Services and Indigenous Affairs (FaHCSIA) and on a fee for service basis, 2004-2011. 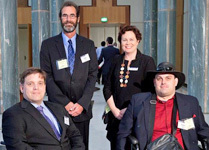 The development of a rights and responsibilities training package for people with disabilities and their carers, together with People with Disabilities WA in 2004. 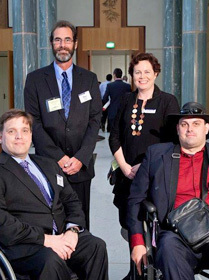 In 2003, E-QUAL facilitated 24 workshops (two on each Disability Service Standard) for board, management and staff from disability employment services and advocacy services in WA. The delivery of disability employment service auditor training for the Department of Social Services (DSS) and while required, as an accredited TPEC with RABQSA International, 2002-2013. 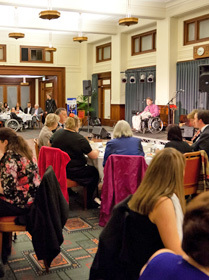 In 2002, E-QUAL developed information sessions for consumers of disability employment services on a range of reforms being introduced by the Commonwealth government. Forty-four sessions were conducted in metropolitan and rural WA for over 600 consumers and carers. Development and delivery of orientation training for Independent Standards Monitors for the Disability Services Commission (DSC) during 1997-1998. Development and delivery of training for graduates with disabilities and medical conditions and student support staff about the transition from university to employment, for Murdoch and the University of WA, 1996. Development and delivery of disability awareness training sessions for staff from various levels in local government (e.g. City of Perth, City of Subiaco, City of Nedlands, City of Canning, Town of Claremont, Town of Cambridge), state government (e.g. Main Roads WA, Department of Indigenous Affairs, LotteryWest, Fremantle Hospital) and community organisations (e.g. Good Samaritan Industries, South Metropolitan Personnel), (1995-2014). Between 1993-2005, E-QUAL had a contract with the Department of Family and Community Services (FaCS) to provide training and support to people with disabilities using employment and advocacy services funded by the Commonwealth, to participate in quality assurance processes. Over 1000 people per year participated in training sessions and consultations about service quality. "E-QUAL provides training for people with a disability about their rights and how to exercise them." Consultation with NDAP agencies to develop an options paper on the collection and actioning of systemic information, for DSS, 2013-2014. Consultation with NDAP agencies to develop an options paper on better collaboration, for DSS, 2013-2014. Consultation on the learning and development practices and gaps in the National Disability Advocacy Program (NDAP) sector, for DSS, 2013-2014. Facilitation of strategic planning for Citizen Advocacy South Australia, 2013. Consultation with Citizen Advocacy South Australia protégés (clients) as part of Strategic Planning, 2012. Consultation with Activ Foundation clients, primarily people with intellectual disability, and their families to inform the development of a consultation framework for the organisation, 2010. National consultation with supported employees and their families about the proposed vision for Australian Disability Enterprises, for FaHCSIA, 2010. Community consultation for the City of Swan on the All Abilities Play Space, 2009. A consultation with people with Down Syndrome and their families about the Down Syndrome WA Strategic Plan during 2009. 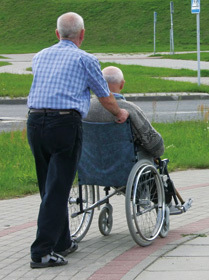 Consultation with clients of Perth Home Care Services about outcomes and service quality, 2008. Consultation with young people with disabilities, their families and community youth mentors to evaluate the Community Mentoring Program for Great Mates WA, 2004-2005. Facilitation of strategic planning for Deafinite Employment Service, 2004. Consultation with CRS Australia clients in 2003. Consultation with staff and development of quality frameworks for GIFSA, Recreation Network and Deafinite, 2002-2008. Consultation for Recreation Network about services provided by them in the south east metropolitan region, 1999. Together with Donovan Research, national satisfaction survey of clients of disability services, for the Productivity Commission, 1999. Consultation with carers across Western Australia, including rural and remote consultations, to develop the Carer's Strategy for the Disability Services Commission in 1997. Consultation for Main Roads WA to develop the Rural Road Network Strategy and the Pedestrian and Cyclist Strategy, 1996-1997. Consultations with community members with disability and their families, carers and service providers, as part of the development of over 30 Disability Access and Inclusion Plans (DAIPs, formerly Disability Service Plans), 1995-2016. Clients have included City of Perth, City of South Perth, City of Belmont, City of Canning, City of Fremantle, Department of Indigenous Affairs, Shire of Roebourne, Shire of Kojonup, Shire of Halls Creek, Tourism Western Australia, City of Melville, Main Roads WA, Western Power, Curtin University, City of Subiaco, Town of Claremont, City of Nedlands, Town of Victoria Park, Library and Information Service of WA, City of Bayswater, City of Swan, City of Armadale, Horizon Power, Shire of Serpentine - Jarrahdale, Arts WA, Community Living Association. Between 1993 and 2005, E-QUAL had a contract with the Department of Family and Community Services (FaCS) to provide training and support to people with disabilities using employment and advocacy services funded by the Commonwealth, to participate in quality assurance processes. Over 1000 people per year participated in training sessions and consultations about service quality. E-QUAL has conducted consultations with consumers of disability employment services since then on a fee for service basis. 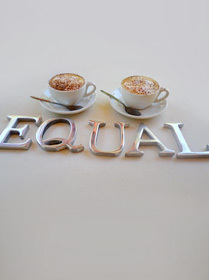 "E-QUAL provides advice to organisations about how they can improve their services and facilities." Developed a Transition Plan for Aim Employment Services in preparation for the move to the National Standards for Disability Services, supported with staff training, 2014. Report on the evaluation of the NDAP quality assurance training, 2012. Evaluation of the Volunteer Taskforce transport scheduling trial, 2009-2010. Report on evaluation of training on the NDAP third party certification process, 2009.
Review of the feasibility of merging the Kambalda Youth Program and the Kambalda Individual Disability and Support and Carers Respite House, 2007. Audits of accessibility of community facilities, for City of Belmont, City of Cockburn, City of Melville, Shires of Kalamunda, Moora, Dalwallinu, Victoria Plains, Chittering and Wongan-Ballidu, South West Counselling Service, Bundaberg Council, 2006-2011. Evaluation of communication tools developed for people with complex communication needs to understand and participate in quality assurance processes, including field testing, and interviews, for Disability Services Queensland (DSQ), 2006-2007. Internal audits for disability employment and advocacy agencies including Geraldton Personnel, Good Samaritan Industries, AIM Employment Service (Autism Association of WA), Workright, Employment Esperance, and Citizen Advocacy South Australia, 2004-2016, Disability Support Services and Mosaic. Consultation with young people with disabilities, their families and community youth mentors to evaluate the Community Mentoring Program for Great Mates WA in 2004-2005.
Review of Shire of Mundaring Disability Service Plan including development of issues papers on local, national and international trends and issues for people with disabilities - 2003 - 2004. Report on the evaluation of training of Audit Teams for the Certification of Disability Employment Services for FaHCSIA, 2003. Market review and development of a business plan to capture the disability employment service market, for BVQI, 2002. Audits of evidence for Disability Maintenance Employment Instruments (DMIs) for FaHCSIA, 2002. 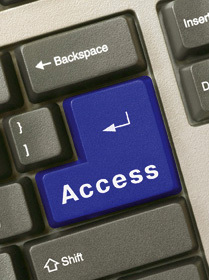 Evaluations of recreation access for people with disabilities program (RAPiD) in 2001-2002. Together with BVQI, audits of evidence for Disability Pre Employment Instruments (DPIs) for FaHCSIA, 2001. 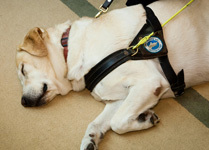 Audits of disability employment services as part of the trial of the disability employment service quality assurance system, 2000. Evaluation of the individual planning process for the Young People in Nursing Homes project, 1998.
Review of approaches to satisfaction surveys of clients of disability services, for the Productivity Commission, 1998. Management of provision of Independent Standards Monitors for the Disability Services Commission, 1997-2000.
Review including consultation, about consumer participation in the Disability Services standards for DSC, 1997. Two E-QUAL consultants (Jackie and Leanda) were contracted as Independent Standards Monitors for the Disability Services Commission for over 8 years. Review and report on the development of Community Based Independent Safeguards for people with disabilities using accommodation services in WA, for the Advisory Council for Disability Services WA, 1996.
Review of the transition of graduates with disability and medical conditions to employment, for the Post Secondary Education Disability Network, 1996. 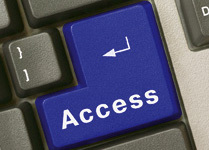 Reviews and development of Disability Access and Inclusion Plans (DAIPs, formerly Disability Service Plans), 1995-2016. Clients have included City of Perth, City of South Perth, City of Belmont, City of Canning, City of Fremantle, Department of Indigenous Affairs, Shire of Roebourne, Shire of Kojonup, Shire of Halls Creek, Tourism Western Australia, City of Melville, Main Roads WA, Western Power, Curtin University, City of Subiaco, Town of Claremont, City of Nedlands, Town of Victoria Park, Library and Information Service of WA, City of Bayswater, City of Swan, City of Armadale, . "E-QUAL provides training for people with disabilities about their rights and how to exercise them." The development of the “"Quality Toolkit for the NDAP", 2012. Development of policies and procedures for disability employment service quality assurance compliance for Skillhire, 2010-2011.
Review and update of the "NDAP Quality Assurance Trial Information Kit", 2009. Development of Style Guides for Wanslea and Rod Evans Community Centre, 2008-2009. Development of booklets for families, carers and staff, about how to use the Interactive Toolkit, a resource for communicating with people with complex communication needs about the Disability Services Standards and quality assurance, for Disability Services Queensland, 2006-2007. Development of “Disability Access and inclusion Plan Resource Manuals” for state and local government, for DSC, 2006. Development of “Starting Out - a guide for parents to assist the inclusion of young children with disabilities into community activities and services” for Early Childhood Intervention Australia (WA), 2002. Development of the “Quality Systems Resource Package” for the Disability Services Commission in 2001. Development of “About the Standards”, an illustrated easy English guide to the Disability Services Standards, for DSC, 1998. 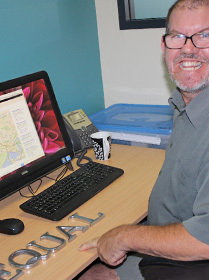 "We consult with people with a disability about what they think of the quality of services." "The privacy and confidentiality of customer information is respected at all times."